AnyMeeting will shortly unveil a great new feature to make phone conferencing and holding online meetings and webinars a lot easier. If you’re interested to try out this feature early, we’d love to hear from you! We’re looking for active beta testers to use this new feature and to submit feedback on how it’s working out. To sign up, please send an email ASAP to betasupport@anymeeting.com with the subject line “Beta Sign-up”. We only have space for about 50 more Beta Testers, and would love to hear from you by Friday, May 11. Join us Tuesday, May 1st at 11 am Pacific for the next free webinar in our “Small Business Toolkit” webinar series, and get helpful tips to have a successful webinar. 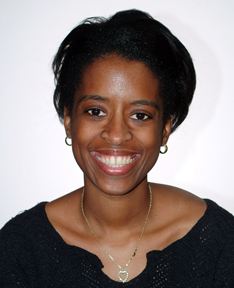 Professional webinar consultant Heather Butts will provide valuable insight on the proper steps to take and pitfalls to avoid when putting together a solid webinar that generates leads. Only 200 spots are available – so sign up today for free. Make sure you log in to the webinar early – attendance is on a first-come, first-served basis. Small, medium or enterprise, every business needs a solution for online meetings. When meeting with clients or colleagues in different locations, AnyMeeting can be instrumental in bringing businesses and professionals together. But, it can be used for more than just business right? Absolutely, online meetings can bring friends, family and acquaintances together as well. Here are some ways AnyMeeting can help bridge the communication gap outside the office. Sports team and league meetings – Meet with coaches and parents and discuss team and league activities before and during the season. Community meetings – With busy work schedules, it’s hard for everyone to attend community meetings. AnyMeeting gives everyone the opportunity to attend from their desk, and make sure their voice is heard. Party/event planning – Planning a big party or event? Get everyone involved together quickly and work out the party details. Don’t get caught up in the chain of confusing back and forth “Reply All” emails. Connect with family and friends – Bring friends and family members from different locations together, especially those who may not have connected in a long time. AnyMeeting lets you create your own online family reunion. Our lives get filled with so many obligations that it often can be hard to attend important meetings in person, let alone connect in person with family and friends far away. However, with the help of a good solution like AnyMeeting, you can bridge the communication gap inside and outside the office. We have seen from surveys that users are already relying on AnyMeeting for many non-business meetings, including soccer clubs, scout troop and community meetings, and party planning with family and friends. So, next time you’re faced with organizing a bunch of people, and you can’t meet in person, use AnyMeeting, and why not? It’s free. HUNTINGTON BEACH, CA–(Marketwire – Apr 11, 2012) – AnyMeeting, the free web conferencing and webinar service, today announced an initiative to help support new startup companies in Southern California. AnyMeeting is contributing one-year premium ad-free service accounts to all employees of companies within select Los Angeles area incubators and accelerators. Los Angeles incubator and accelerators participating in the initiative include Launchpad LA, MuckerLab, Amplify LA, Science, Start Engine, K5 Launch and LA Cleantech Incubator. See the complete press release on MarketWire. Many business people and entrepreneurs would love to do a webinar, but are stopped for various reasons: Will I have a horrible technical issue that will ruin my webinar? Can I come up with a compelling topic that will entice potential customers to attend? Will the individuals that register for my webinar actually show up? Individuals can turn to webinar facilitators – yes they do exist and I am one of them – to alleviate anxiety around webinars and online training, ensure a seamless, successfully programming and drive business leads and sales! Is a webinar facilitator for you? Here are 5 tips to help you decide? 1. Will the webinar facilitator assist you in the planning stages of your webinar? So, one of the most critical services that I have provided as a webinar facilitator is around planning the webinar. What will be the length of your webinar? 1 hour? 2 hours? 30 minutes? What will the format look like? A presentation followed by a Q & A? A presentation only? An educational workshop? A 15 minute sales pitch at the end? What platform will you use and do you know the pros and cons of using that specific platform? Will you be the only presenter or will there be a panel of presenters, each of whom may have their own PowerPoint presentations that will need to be uploaded for the webinar? How far in advance should you market your webinar and how often should you send email reminders, tweets and facebook messages to potential registrants? Do you have a really great title for your webinar that will attract the audience that you want in attendance? A webinar facilitator can be very helpful in helping you think through these issues and can ease some of the anxieties that you may have as you’re getting ready for the webinar. Planning out a first-rate webinar will ensure that attendees who are there will be more interested in your product, services or tools and that will lead to attracting leads and ultimately customers. 2. Will the webinar facilitator work with you in the preparation and practice stages of your webinar? Practice, practice practice! Any webinar facilitator will tell you that the way to ensure you have a phenomenal webinar is to practice a lot! The way to ensure you have a nerve-wracking experience with glitches and problems is to sign onto the webinar platform 3 minutes before show time and hit the start button. Will the webinar facilitator do run-throughs of the webinar with you and do an actual simulation of the webinar 1-3 days before your event? Will the webinar facilitator proof-read your slides for grammar and syntax mistakes? Will the webinar facilitator coach you on voice modulation and pacing as you speak? Will the webinar facilitator prepare questions for you if they are going to facilitate the Q & A section and do a run through of those questions with you, possibly multiple times? Will you and the webinar facilitator do recording checks to ensure that the webinar platform you’re using is recording you well? These are all questions to find out and again, you may not need all of this help but find out if these are services the webinar facilitator can provide. 3. Will the webinar facilitator assist you with marketing your webinar? One of the biggest fears the individuals and businesses have regarding planning a webinar is that they will put a ton of work into the production, design, and content, and end up with 4 people in attendance! A webinar facilitator can be of assistance here in terms of advising you on ways that you can have a high marketing reach by reaching out to groups, organizations and other contacts to draw individuals into the webinar. You’ll want to get very specific with the webinar facilitator to ascertain if she can and will be of assistance to you during the marketing and advertising process, if she has assisted others in promoting their webinars, what the results have been and what their previous registration-to-attendee rates have been. 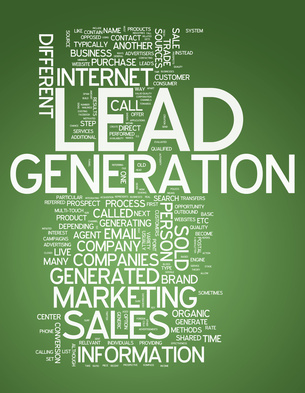 A webinar facilitator can be critical in not only thinking through where your leads can come from, but also in helping you target those leads, getting attendees to your webinar and, as we will talk about later, helping to turn those attendees into customers. 4. Will the webinar facilitator provide technical support, Q & A support, discussion support or all of the above during the webinar? Webinar support can be everything from setting up your webinar for you from a technical standpoint – getting the platform ready 15 minutes before the webinar is to start, all the way to introducing you as the speaker, being a content facilitator during the webinar, helping you with the slide presentation (if applicable) during the webinar, and assisting with the question and answer period after the formal presentation has ended. Many webinar providers can also alert you to issues as the webinar is going on, such as distracting background noise, low voice volume, and other technical issues happening during the webinar that you either may be unaware of or unable to do anything about while the webinar is going on. If you’re going to take questions during the webinar, the facilitator can also be of service in terms of vetting questions either via a chat feature, phone feature or computer microphones, thus freeing you up to answer the questions as opposed to concerning yourself with technical issues that may distract you from your focus – great content and information! Decide where your strengths and weaknesses are and what would make you most comfortable during the webinar. Some people would feel very uncomfortable allowing someone else to be in control of the slide presentation during the webinar and would want to be in control of the slideshow. Others would be petrified to control the technical aspects of moving the slides forward, so be honest with yourself, decide what you’d like to be in control of and what you’d like assistance with during the webinar. 5. Will the webinar facilitator be of assistance to you in post-webinar production and wrap-up? So life happens right. Recordings of webinars have glitches, don’t turn out exactly the way you’d like, or you want to follow-up with potential clients post-webinar, or maybe you want to target a specific group that really seemed to enjoy the webinar and do another webinar for them. If you hire a webinar facilitator, will they say goodbye as soon as you hit end on the record button, or can they be of assistance when you find out that the link to your webinar recording isn’t working and you need help to fix it? Does the webinar facilitator have the right equipment in place to edit the webinar in post-production and share that edited version with you either as a link or file? These issues can be critical. For many people, the most important part of the webinar is the post-webinar marketing and follow-up with prospective customers, so if you need assistance with follow-up make sure that this is a service your potential webinar facilitator has experience in and is willing to provide. Once the webinar is over, you’ll want to go over the registration/attendee rates. How many people registered and how many people actually attended? From there it is imperative that you follow-up with the individuals that registered but did not attend, ideally with a recording of the webinar very soon after the live event. This can be instrumental in targeting individuals who are interested in what you have to say, but due to scheduling issues or other conflicts, could not make your webinar. Do you have a system for taking questions from individuals who watched the recorded version of the webinar? The webinar facilitator can assist you in creating such a system and managing queries that come through this system from prospective clients. Following these 5 steps will ensure that you have a productive, wonderful webinar that will lead to increased registration and attendance, fantastic engagement of your audience and customer growth. Do You Have a Twitter Marketing Strategy? Using Twitter as your marketing strategy, to ensure success in your business, is the call of the hour. Experts say that imbibing ways to market your products through social networking sites, like Twitter, is a powerful way of achieving outstanding performance and immediate results, with limited expenditure and capital investment. Not only does Twitter assist in enhancing your online web experience by building your credentials, but it also takes your business to a profitable position through employment of every marketing effort that you undertake, to promote your product. However, to ensure great heights in business, through Twitter, it is very crucial to target the right audience group by creating a potential Twitter marketing strategy. If you manage to hit the right cord, this social networking chain would promise a sure shot productive, successful and powerful business organization, from its budding stage. 1. Identify your target audience- To ensure growth and success in your business through Twitter, the first and foremost step is to clearly describe and ascertain your target audience. Being well versed with Twitter’s operational guidelines and including Twitter handles of real target users is a must. Also, developing a persona by representing your customers on Twitter or another social media site can also be very useful in your endeavor of making it big in your field of business operations. 2. Know your goals clearly, to score high- Before you step into marketing your products through Twitter, it is very essential to ascertain the result that Twitter participation would bring about to your business and the amount of customer benefit that it would assign you. The key to success for any business rests on its database who reads your tweets. So, it is very important to grow your tweet followers, if you want your business to grow and achieve great heights. Also, it is more important to make your fan base a responsive one, rather than just an add-on to a huge follower-list. The response that you receive from your follow-up messages from followers, will only determine the popularity and goodwill of your business enterprise, and not just the long list of your audience. Your goal should be to convert your data base into prospective customers, if you want to touch the sky of success. 3. Ascertain where Twitter fits into your overall online marketing strategy- Any marketing tool that you select for the growth and success of your business, should be chosen with proper planning and understanding, by ascertaining its role in doing so. While choosing Twitter to do the needful, clearly identify and understand the role that you want it to play. Whether you want to utilize it as a customer service tool for brand monitoring, monitoring for sales opportunities or for enhancing other corporate social activities like blogging, Facebook, YouTube or anything else, be clear in your mind and proceed accordingly. If Twitter is chosen for communicating and social networking media, Twitter can help you to connect to customers, prospects, journalists, candidates, investors and marketing partners. It is very crucial to comprehend where Twitter fits within your overall mix of online marketing and communication. 4. Twitter is a tool, as per the tactics you use- Twitter cannot promise you to touch the skies of success just by gaining popularity on it, without addressing a proper plan for reaching those pre-set goals. A step-by-step planning and execution of the same lays the foundation for the overall long term success of the business. So, first design and optimize your Twitter page, which should be significant enough with diverse tweets. Follow a proper theme and be consistent enough in messaging and in reaching out to your audience. Only a well organized and frequently followed Twitter account walks the ramp of success. 5. Measure twice, Tweet once- It is equally essential to identify referrals via various URL shortening services through your Twitter account. Your followers should be monitored on a regular day to day basis, as a mix of data points along with measurement tools, implemented with proper planning to acquire your business goal, is the key to your success and growth through Twitter. As we have mentioned above, the key to success and growth of a business through Twitter is by growing your Twitter followers. Here’s how to do it. 1. Business Card Strategy- Your Twitter handle should be vividly added to a classy business card, which in turn should be exchanged during offline seminars, workshops and conferences. Remember, using the power of a smart business card strategy can take your business to sky rocketing levels through Twitter, provided you make sure to include your Twitter handle in a well inscribed manner, on it. 2. Guest Posting Strategy- For the enhancement and growth of a business using Twitter, the strategy of guest posting is being emphasized on, to a great extent. Getting your guest work featured across several A-list blogs can ensure you of an incredible response from Twitter followers. As on your part, keep posting quality articles, to grab and retain the excitement of your customers and followers. 3. Position yourself as an expert- First impression is always the last impression. Right from day one, let your work do the talking on your behalf. Try to make an identity of your own, as an expert internet marketer, by winning the hearts of your prospects. Be a hero in the eyes of your followers by positioning yourself as a top-notch content writer, simply by taking real time in writing your blogs. 4. Share with a friend link- If you use e-mails as a media of communicating with your subscribers, a sheath approach of increasing your followers is by adding an anchor to your Twitter handle and requesting your recipients to share them with their friends. This approach would promise an overwhelming response by causing a viral marketing surge between your Twitter users and their associated links. 5. 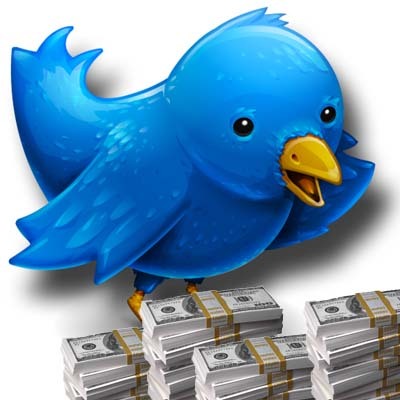 Automate and schedule Tweets- It is not always possible to be personally available all the time to post new tweets. However, by using free and paid Twitter tools and applications, to automate and schedule your activities, can promise fresh content to your followers consistently, at all times, and even attract new visitors on to your blog. Action responds to reaction so step up and boost your business prospects with Twitter marketing strategies to get amazing results. Editor’s Note: This article is brought to you by AnyMeeting, the completely free web conferencing and webinar service. Use AnyMeeting for your next online meeting. If you plan it right, they will come … and they will come back again and again. Pulling together a webinar that not only impresses your audience but also creates a buzz — word of mouth that brings new attendees to your next event — is an avenue toward broadening the reach of your brand. However, it’s not always intuitive what must be done to make a webinar work. In this post, you’ll read about some key steps to getting your online offering into ship-shape condition. You’ll note some mistakes to avoid, and some ideas to carry forward after your next webinar knocks it out of the park. The Right Topic and Marketing Synchronicity: Whether you’re the sole proprietor of a business or part of a company that’s moving into the market with online offerings in mind, associate the content of your webinar with what it is that you do best. Poll your audience and find out what they’d like to hear about. Discovering where your clientele already understands your expertise to lie will help you to craft a webinar that plays to their perceptions of existing strengths. Especially if you work in a team environment, don’t plan your webinar topics without the input of the sales and marketing staff. Prompting different departments to invest in the success of the webinar is a sure way to boost its visibility via ongoing outreach campaigns. Solo or Team? : From the start of your webinar planning, you need to think about what format your online experience might take. Will it be just you, as the expert, explaining a principle, or are you thinking that it would be best to bring in additional presenters — people who can broaden the field of knowledge? Note that you’ll need to administrate a group if it’s the latter. So, plan and build all the slides and audio material from every presenter into a complete package, early on. You’ll want plenty of time for the dry run that we will address in a moment. Additionally, if your webinar is going to have more than one moving part in this way, consider bringing in assistance. With a second (or third) technically proficient person on hand, you’ll have a better shot at controlling damage if something goes awry with one participant’s video or audio during the webcast. Planning and Managing Slides: Use charts, tables and a bit of video or illustration to not only augment what you might be saying at any given point, but also think about introductions and emphases. For example, you’ll want a slide that sets up a new presenter — giving their name, contact information, and a blurb about their realm of expertise. Have a “first-stop” slide in place before the webinar actually begins, one that confirms that audience members have come to the right place and that reminds them of the start time. 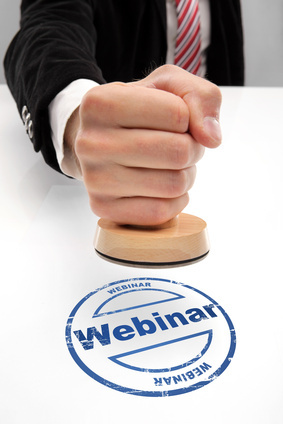 Timing: Webinars that run longer than two hours tend to push their audience’s limits. More ambitious constructs should probably get broken down into separate sessions. Unless your anticipated audience has a whole day at their disposal, consider putting these second and third sessions on different days. Finally, once you’ve hosted your successful webinar, don’t blow the follow-through. Reach out to attendees with a gracious thank-you e-mail, and make sure you invite feedback. Note an upcoming event or idea, and remember to ask if there’s a webinar topic they’d like to see in the future. That’s how you win a sustainable audience; one that reaches out to their own associates and increases attendance.